This is a breakout board for the fully integrated Hall Effect based linear ACS758 current sensor. The sensor gives precise current measurement for both AC and DC signals.The thickness of the copper conductor allows survival of the device at high overcurrent conditions. The ACS758 outputs an analog voltage output signal that varies linearly with sensed current. 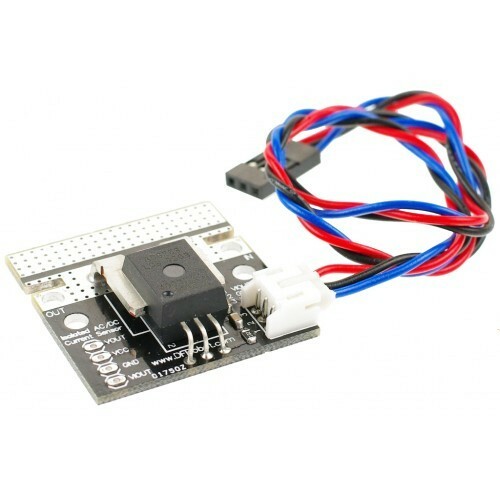 This current sensor enables you to monitor currents in your project every second for energy saving or circuit protecting purposes.